The Caher River (the only river in the Burren to flow its entire course above ground) enters the sea here. Near the beach the site of an ancient house has been uncovered and excavated on the north bank. 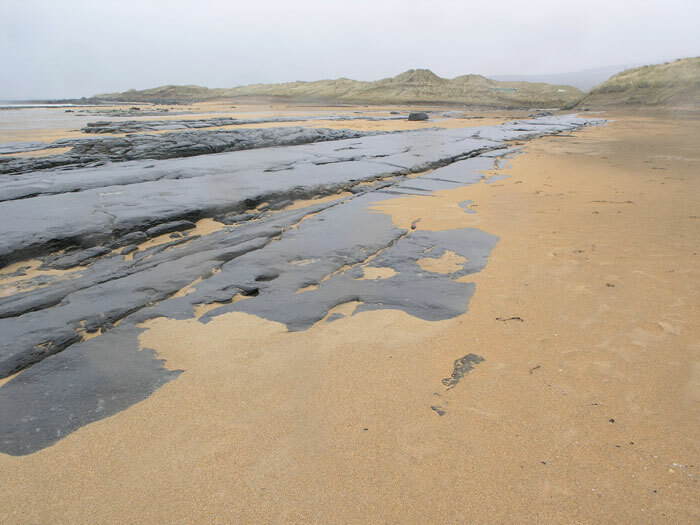 The name comes from the Irish ‘Ór’ meaning sea coast and thus Fán Ór literally means ‘the declivity by the sea coast.’ A beautiful beach, noted for its edible seaweed. 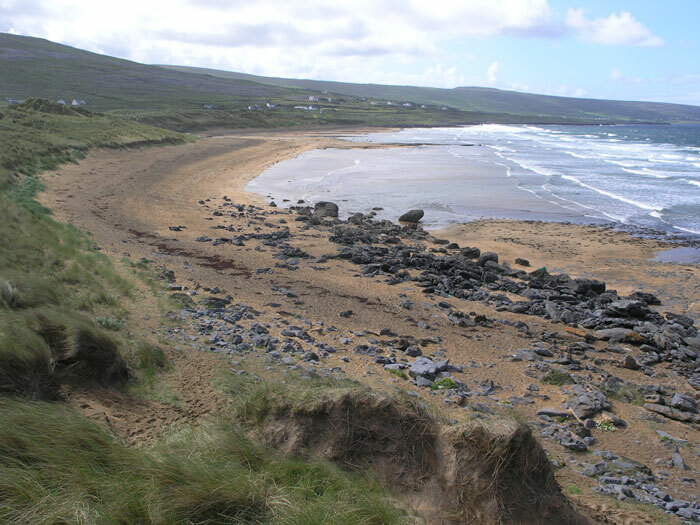 Some authorities hold that the name comes from Fán Óir, meaning golden slope of beach. It is situated on the R477 to the south of Black Head and is a popular bathing place with a public recreation area. The village is quaint with a shop and a pub and further down the coast is Fitzpatricks, a general merchant and post office and O’Donoghue’s pub, which has music on Saturday nights. 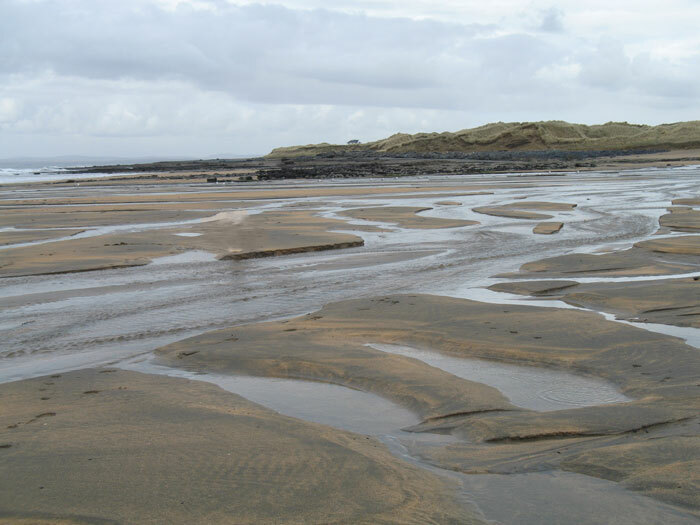 The Caher River enters the sea here and the sandhills area, known as the Rabbit Warren, are to the north of the river mouth. The site of a possibly middle stone age house has been excavated on the north bank. Behind the beach a road goes inland and up the Khyber Pass or Caher River valley. It passes a village deserted since the days of the famine. South of Fanore rises Slieve Elva, 345m and pierced by the cave of Pollnagollum, which is more than four miles in length. Fanore was home to Australian author Francis Stuart, who died February 2nd 2000. Fanore has a large sandy beach and extensive sand dune system. It is very popular with walkers, swimmers and surfers. 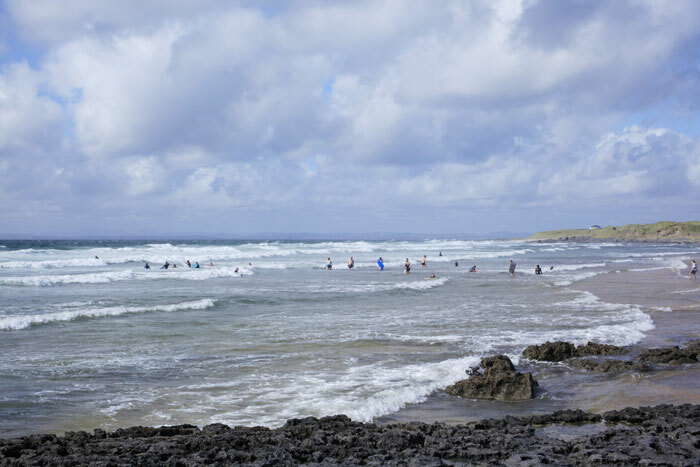 Surfers can find a haven here as an alternative to the very busy Lahinch. 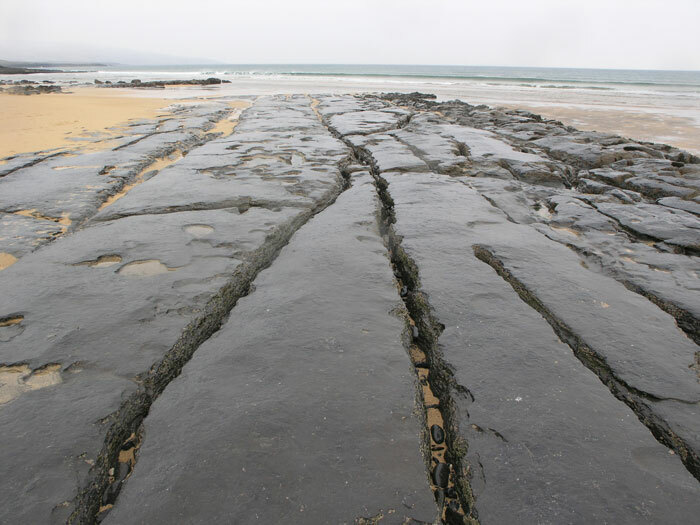 Fanore Beach is a Geosite. Terrain: Green roads, minor roadways, woodland tracks.